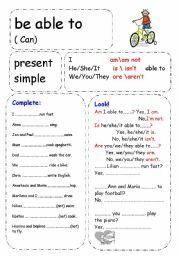 This workshop allows young learners to practice using simple present. 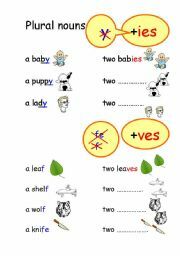 It is simple and should have vocabulary familiar to children at the end of their first year of English. 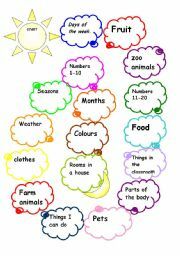 This is suitable for young learners. I used the vocabulary from the junior course book that we were using.It is suitable for practice. This game is played using a dice. Children must move around the board and do the actions. 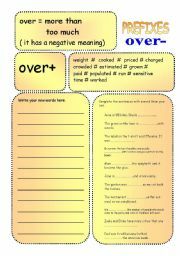 They can play in groups and it lets them move around.Nice fill in activity or practice for imperative.They should have fun.The template was taken from eslprintables. 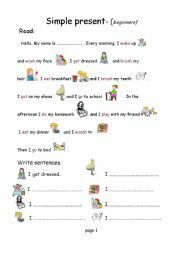 This is a very easy controlled practice worksheet for young learners who are beginners. This game is for pairs or small groups. You will need a dice. Students say as many words as they know from the category they land on. I made this for students who have finished beginners level as a revision of their vocabulary. The template was from ESL printables. 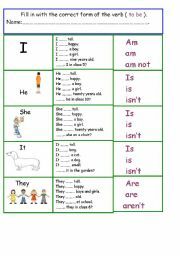 This is a simple worksheet with the use of -be able to - in present,past and future form. 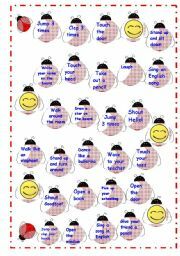 I hope it is useful.The template is from esl printables. 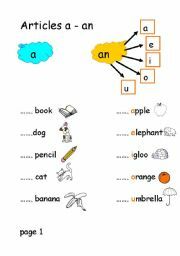 This is the second part of plural nouns. 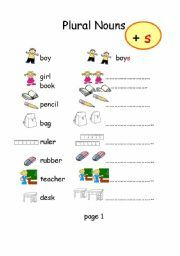 It is an easy worksheet for juniors and young learners. Easily confused words for B1 and B2 level students. Definitions and an exercise. This is a worksheet using some adjectives made from the prefixes under and over.It is 4 pages with black and white available. 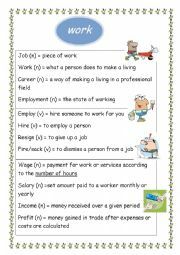 An easy worksheet for juniors and young learners to practice plural nouns.It is the first of two parts as the file was larger than 500kb.